Dolomite Bio, a provider of single-cell technologies, announced the launch of a new scRNA-Seq Reagent Kit to expand its Nadia Instrument portfolio. The new kit is designed to enable robust and reliable generation of PCRamplified cDNA libraries on the Nadia Instrument, allowing high-throughput gene expression profiling of heterogenous cell populations. 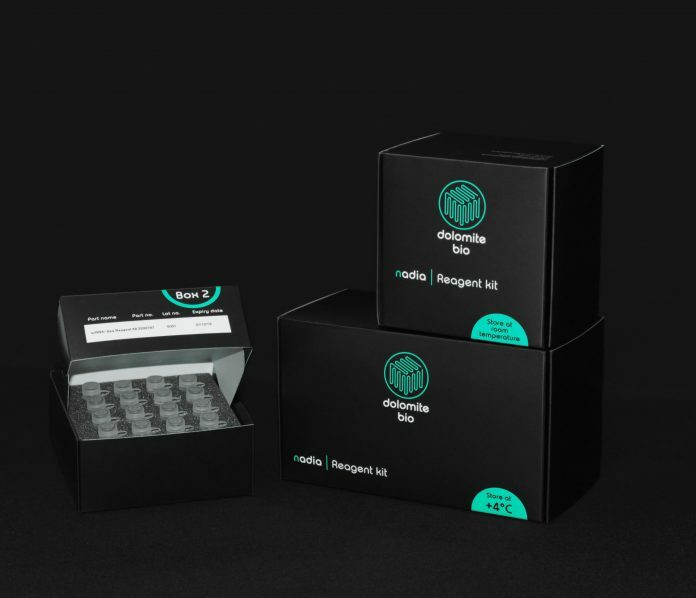 The kit contains all the consumables required to create amplified cDNA libraries, allowing researchers to achieve reproducible single cell datasets at low sequencing costs. Unlike other solutions, this setup also gives users the ability to adjust the number of single cell cDNA libraries prior to sequencing, helping to ensure cost-efficient single-cell analysis.